If one has ever been a regular Disneyland visitor they will know the true treat and pleasure of discovering that one trip when The River Belle Terrace is open. That beautiful little Frontierland restaurant that overlooks The Rivers of America is a child's dream. 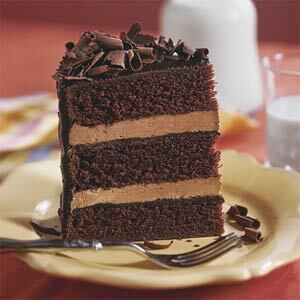 With that delicious taste of light and rich chocolate cake, I knew peace and heaven all put into one. It's like all the perfect views put into one. The twinkling blue waters of The Rivers of America radiate the sun and shine if for the whole park to see. Thunder Mountain rises from the ground to challenge all those who wish to dare the mines. The Golden Horseshoe Saloon beckons all those who wish to join in fun and laughter. I can smell the water drifting over the sidewalk. It's a smell that I will always associate with that place in time. Along with that came the smell of melted butter form the popcorn carts below, fried chicken wafts up from the fast service cart by the saloon, and the smell of Mexican food lingers from the base of the mountain. The whistle of the steam boats calls us back to a past that we never knew. It's a past where men road horses and packed weapons, and where ladies carried handkerchiefs and wore long dresses. Then the sound of laughter brings me to the present, where families are happy together and the screams are only those of thrills and not of fears. I have the heart of an observer here. While there is the feeling of excitement and adventure in the air, I observe and feel peace. As a child I even know that this is what true happiness must be: peace within the heart of my excitement. Ingredients: 1/2 cup plus 6 tbs unsalted butter, 1/2 cup whole-wheat flour, 1/2 cup all-purpose flour, 1/2 cup cocoa powder, 1 tsp baking powder, 1/8 tsp salt, 6 eggs plus 3 separated, 1/2 cup Splenda, 1/2 cup plus 3 tbs sugar, 2 tsps vanilla extract, 8 oz semi-sweet chopped chocolate, and 1 cup of heavy cream. 1) Pre-heat oven to 350 degrees. Line three 8 inch round cake pans with waxed paper and then grease. 2) Dust evenly with flour and spread with a pastry brush. 3) Melt 1/2 cup butter over low heat. With a spoon skim off any foam. 4) Sift the flours, cocoa, baking powder, and salt three times. 5) Place the 6 eggs, 1/2 cup sugar, and Splenda in a large heatproof bowl set over a pan of hot water. With an electric mixer beat for about 10 minutes. Add the vanilla. 6) Sift the dry ingredients over the egg mixture in three batches folding in after each addition. Fold in the melted butter. 7) Divide the batter between pans and bake for about 5 minutes. Transfer to a rack. 8) For the icing melt the chocolate in a heatproof bowl set over hot water. 9) Take off the heat, stir in the 6 tbs of butter and 3 egg yolks. Return to low heat and stir until thick. Remove from the heat. Whip the cream until firm in another bowl. In yet another bowl beat the 3 egg whites until stiff. Add the sugar and beat until glossy. 10) Fold the cream into the chocolate and fold in the egg whites. Refrigerate for 20 minutes. 11) Sandwich the cake layers with icing. Spread the rest of the icing over the tops and sides. 12) Enjoy on a terrace of your very own. * Base of recipe from Cake and I molded it from there.